He has hunted some of the most notorious and sadistic criminals of our time: The Trailside Killer in San Francisco, the Atlanta Child murderer. He has confronted, interviewed and researched dozens of serial killers and assassins -- including Charles Manson, Richard Speck, John Wayne Gacy, and James Earl Ray -- for a landmark study to understand their motives. 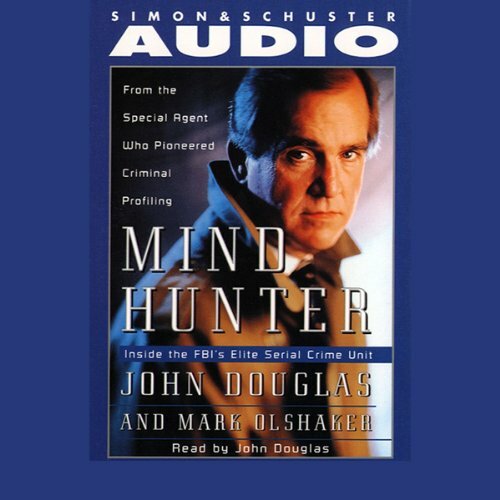 To get inside their minds.He is Special Agent John Douglas, the model for law enforcement legend Jack Crawford in Thomas Harris's thrillers Red Dragon and The Silence of the Lambs, and the man who ushered in a new age in behavorial science and criminal profiling. Recently retired after 25 years of service, John Douglas can finally tell his unique and compelling story. With journalist Mark Olshaker, he gives us a behind the scenes look at his fascinating career, revisiting his journeys into the dark recesses and calculated madness present only in our worst nightmares. This is the true-crime work everyone has been waiting for -- by the Mind Hunter himself.